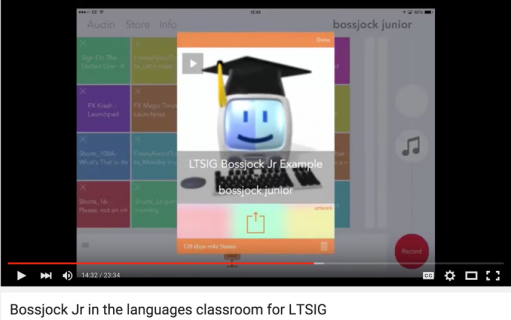 Joe Dale has produced a great video review of Bossjock Jr, a free iOS app for creating your own radio show. It’s great for promoting listening and speaking skills. Let us know in the comments below if you’ve used it with your learners and what you think of it. Do you have any apps you’d like to review? Get in touch with the webteam. Joe Dale is an independent consultant and former languages teacher. He blogs at Integrating ICT into the MFL classroom and tweets as @joedale.